August month is very positive for guar seed. It has crossed the level of 4000. 4000 is major psychological level. Prices will remain around 4000 in next week. There will be some selling pressure in physical market. Investors who have purchased guar at level 2900-3000 will try to move out from guar contract at 4000 level with 30 % return. Level of of 4000 is a decision-making point for investors. We will see a regular up and down between 4000-4500 level. Once Guar will cross the level 4500 then buying will start in it. As per fundamental reports guar crop is not good in many areas. It is damaged in flood. It is facing drought in major guar cultivation belt. Crude oil is also stable above USD 50/Barrel. OPEC has cut down production to control the prices. Supply of oil is also tight in USA. Recovery has noticed in oil prices. As per industry report oil and natural industry is again showing interest in guar gum instead of other artificial replacement. Mostly future market trading governs Guar trade. Current contract in future market will come in realization in mid of October. There is time of two months in realization of contract. At this time investors will be not in hurry in exit. Once prices will stable above 4000 for 5-6 days then strong buying will be noticed and prices will start move toward 4500/100 Kg. Guar gum has crossed the level of 8400. With recovery in export demand guar gum is moving toward the level of INR 9000/100 Kg. Sowing of Guar seed has almost completed. Final figures of sowing will be come out by the end of August month. Speculators are active in market. Speculators are ultimate risk taker in market. As per market information upward trend will be continue. 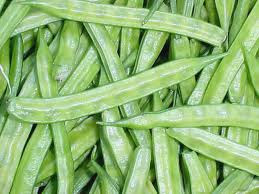 There is demand in physical market and arrival of guar is very poor in rainy season. Supply will be remain tight with increasing prices. 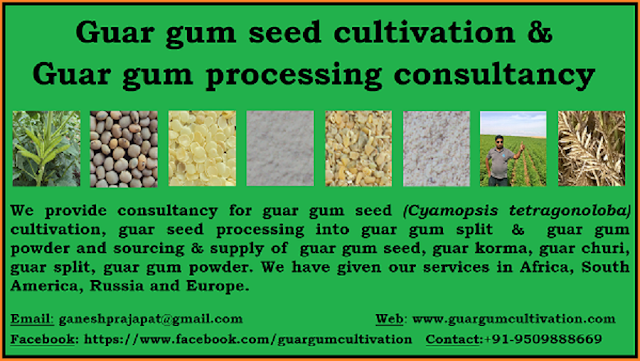 How long Guar seed and Guar Gum will perform well ? Guar has performed very well in Month of August. It has recovered more than 20%. This recovery is still going on. In August and September there will be no settlement in Guar contracts. Next settlement will be in October. There will be no settlement pressure up to next two months. Investors are making positions due to news of poor crop and uneven rainfall. Crop has damaged in some area due to heavy rainfall/ flood. In Some area, it is being damaged due to poor rainfall. Cultivation area is already low due to poor performance e of commodity in last years. Farmers of irrigated belts has switched to cotton specially in Punjab, Haryana and Ganganagar belt. Kharif pulses are replacing in rainfed area. Increasing prices can attract guar in reaming sowing time. Crop condition is poor in traditional guar growing belt. Increased figure of current year export of Guar gum is a positive factor for investment in Guar. 115 % growth is noticed in export of guar in first quarter of current financial year in comparison to same quarter of last financial year. Speculators are also positive about Guar now. By the next week guar will cross the level of 4000/100Kg. New crop will arrive by the end of October. Recovery in guar will continue up to October with current climatic and market condition. Production of seed is also expected to remain poor quality this year. In that case guar gum recovery will be low from guar seed. 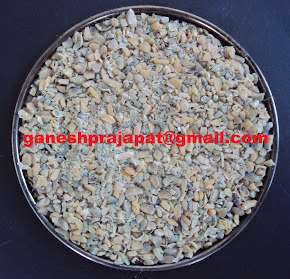 Consumption of guar seed is also expected to increase. Once it will cross the level of 4000 then there will be some selling pressure. Once it will cross 4500 level then selling pressure will come down and buying will start it will move toward 5000 level. Climatic condition and cultivation condition are very crucial for guar in next two months. Can current positive signs lead to recovery in guar Industry? Guar industry is under heavy pressure of poor demand and over supply during last two years. This year crop has not given any significant return to farmers, investors, traders, and exporters. During last week some positive news are coming for guar industry. There is significant increase in export of Guar gum in first quarter in comparison to last year in same period. As per initial data sourced from APEDA, is showing improvement in export of guar in quantity and monitory terms. 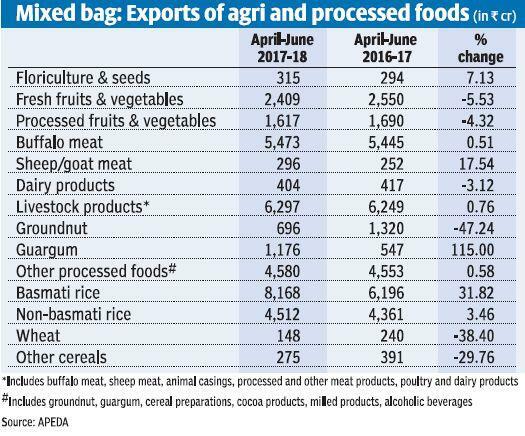 This year there is export of around 1,45,000 MT guar gum in first quarter ( April-June) , last year there was export of 75,000 MT of guar gum in the same period. In monetary terms current year export of first quarter is INR 1176 crore in same period last year export was only INR 547 Crores. If the current trend will continue throughout the year then industry will benefit from it. It is very positive sign for all the stack holders. Recovery in crude oil prices has also seen in this week. Currently crude is trading above USD 50/barrel. Demand of guar gum will increase with increasing crude oil prices. Crude oil price has established as primary benchmark for guar prices. Increasing crude oil prices will give boost to Guar gum prices. There will be increase in export. OPEC want crude oil prices above 50 USD/barrel and Shale producer (The process where guar gum is used in bulk quantity) will benefit from it. Shale producer will increase production. There is heavy rainfall in some districts of Guar growing belt in western Rajasthan and Gujarat. There is news that Kharif crop has damaged in these districts. Guar is major Kharif crop in these area. 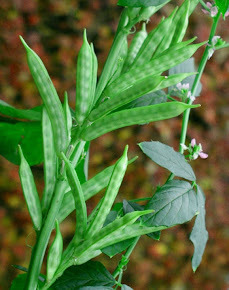 Damage of Guar crop will lead of overall lower production of Guar. It is last time of guar sowing and there is regular rainfall in guar growing area. Early sowing crop will benefit from it but it will be harm full for late sowing crop and new sowing of guar will go down. Late sowing Guar crop will not get sufficient time to mature. It is also noticed that rainfall is not good in rest of districts of guar growing belt. Major production of Guar comes from rainfed areas. Currently guar is being traded around 3500. If above conditions will remain stable then prices will move out of 4000 level. These two months are critical for guar. Due to poor arrival in current period there will be some positive correction in Guar prices. New arrival of Guar will come in market in after October. There will be pressure of new crop arrival at that time up to January-2018.